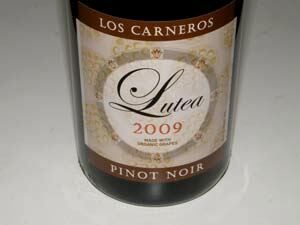 Lutea’s owner and winemaker is Suzanne Hagins, a South Carolina native who developed her interest in wine working in the Charleston restaurant scene for many years. She left South Carolina Burgundy in 1998 to work harvest under Pascal Marchand at Domaine Comte Armand, returning to the states to study at several wineries including De Loach and David Bruce. Lutea is the name of the American lotus, a flower native to the southeast United States. The lotus seed is a very long-lived seed which in nature can lie dormant for hundreds of years and still blossom. Suzanne notes that it is a perfect symbol of potential and very suited as a name for wine. Suzanne insists on sourcing grapes from organic and or biodynamically farmed vineyards in Northern California. Her winemaking begins in the vineyard at harvest where the grape clusters are carefully harvested using scissors (rather than knives which are often utilized by picking crews) to protect the delicate clusters. After de-stemming, there is a 3-5 day cold soak and fermentation proceeds over two weeks. Minimal sulfur is used - the wines always have less than 100ppm, the maximum total sulfur which is allowed for organically grown designated wines. I found that she has a nice woman’s touch with Pinot Noir and I especially welcome the sensible alcohol levels. 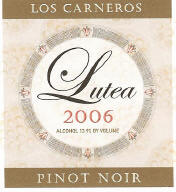 Lutea Wine Cellars address is 446 Orchard St, (Copain Custom Crush) in Santa Rosa. The wines are sold on the and through limited retail distribution. Tasting is by appointment (707-592-0568). Suzanne will soon be releasing her first vineyard designate Pinot Noir from Bybee Vineyard in Sebastopol. 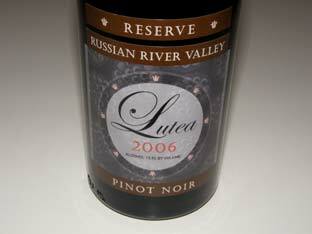 She was also the winemaker for B Vineyards & Habitat (Bybee Pinot Noir) through the 2006 vintage.